For years there have been plans to install a Veterans Memorial Garden on Front Street. Over time the plans evolved and motivation ebbed and flowed. This year, however, we finally were able to start putting a plan in motion to get our Veterans Memorial installed. Coming into this AmeriCorps year it was important to me to leave a lasting impact on the Thomas community. One that would remain long after I am gone. I wanted to work on a project that would bring something positive and much needed in the Thomas community. This memorial seemed like the perfect project. After many hours of trying to figure out the best way to implement this memorial garden, I decided to go with something simple. A little garden full of bright colors and a plaque to honor not only the veterans but also the coal miners. After speaking with Mayor Matt and learning about previous plans for the green space that would eventually become the memorial, I was so excited to finally get started. Though it is only the beginning, I am glad I can leave Thomas with a place to pay their respects to those who served their country and the community. After months of planning and attempting to find funding for this project, I was awarded a grant through the Tucker County Cultural District Authority, thanks to them it was possible to get this project off the ground. I worked alongside NHT board members, Christine Kozan and Alyssa Hanna to dig out the space that would eventually become the garden. After a few hours and hitting literally the old brick road (I wish I was kidding) we finally had the base of the garden. After picking out a variety of flowers that would not only provide amazing color for most of the year, but would also do well is the area. With the help of the Tucker County Girls Scouts and the two days they were able to help us make the space look more like a garden. Soon we'll be installing a flagpole donated to us by the West Virginia Gold Star Mothers and a plaque honoring the veterans and coal miners from Thomas. In the future, as funding allows we are hoping to be able to add a simple walkway as well as benches that will allow people to sit slightly away from the hustle of Front Street. We would like to thank everyone who aided in the creation of the Veterans Memorial Garden whether you contributed to the original design plan, helped with the purchasing of plants, edited the grant proposal that allowed this project to be funded, or helped put the physical plants in the ground, a project that has been years in the making is finally underway. It is my hope that this memorial garden will serve as a place of gratitude, a place where people can honor those who served. Being part of the Thomas community doesn’t mean you have to live right in the town. We are surrounded by community members who are passionate about helping our city even though they live beyond the confines of the municipality. One of those individuals is Emily Wilson-Hauger. When she initially visited the Tucker County region for her honeymoon she fell in love with the beautiful landscapes, the unique culture, and the tight knit community that is found within Thomas. Emily was born and raised in a small town in Pennsylvania. After attending Messiah College she eventually went on to receive her masters in Sustainable International Development from Brandeis University. After graduation she and her husband, Matt moved to Washington DC where she worked for an international development organization. She slowly realized that the big city commute was not something she wanted for her life. Her husband received a job opportunity that allowed him to work remotely, so they decided to pack their bags and head to the mountains. Though she had no set job, she knew Tucker County was the place she wanted to settle and raise a family. After working a few seasons at Timberline the opportunity arose to become an AmeriCorps member serving with Woodlands Development Group, New Historic Thomas, and Tucker County Development Authority. For two years she served with the Appalachian Forest Heritage Area and gained the experience to make a difference within her community. Upon the end of her AmeriCorps terms she was accepted a position within the Woodlands Development Group as well as served as the Executive Director to New Historic Thomas for two years. Since moving to the Thomas area almost six years ago, she has truly made her mark on the area and we would be lost without her. She has been able to get over $1 million worth of grants that have gone into the development of Thomas. She has played a serious part in a wide variety of projects that have made our town and the surrounding area a better place. From working on the riverfront redevelopment plans, putting together a survey of the BAD buildings in the community to be worked on, as well as starting to draft a comprehensive plan for the city of Thomas and the town of Davis, she has been able to make a profound impact on the community whether she realizes it or not. Through the wide variety of projects she has worked on the Thomas City Park Trails is one of her most proud accomplishments. She stated that even though these trails may get used by visitors, it is a trail that will be used for her friends and family which above all else makes all of the work worth it. Through the wide variety of projects Emily has had the chance to work on, being part of the community has been something that has kept her rooted in Thomas. Citing that the opportunity to raise her child surrounded by so much nature and positivity has made it a no brainer that she wanted to make this home for the long term. Being surrounded by a great group of friends all with similar interests has made Tucker County the perfect home for her and her family. She has been able to make Thomas and Tucker County overall a place where she can work and play. Whether she is writing a grant for a new mountain bike trail or utilizing the incredible trails that are found in within her Tucker County home, she has been able to find her place here while making a lasting difference within her community. She has said some of her favorite memories throughout her time here are just getting outside with her friends who have slowly become her secondary family. Being surrounded by individuals who have a passion for their home and choose to be here, is a constant reminder that she and her family made the perfect choice to stay here for the long haul. We cannot thank Emily enough for all of the hard work she puts in helping Thomas be the best it can be! Now that the sun is finally shining and summer is officially underway it means it is time to get back to work on the Thomas City Park beginner loop trail. After a successful fall season we are so excited to get this project completed this year. Zach Adams, the brains behind the trails, has been working tirelessly to get these routes completed and open to the public. We have been lucky these last few weeks to work alongside two volunteer groups to get some progress made on the trails. The first was a group of ten individuals who took time out of the Canaan Mountain Bike Festival to do some much needed maintenance on some of the older trails. For around three hours the volunteers hiked around the older loops and cleaned them up. From lopping low hanging branches to creating new drains to make sure the trails are free of standing water, the volunteers were a great help in taking on a job that usually is over looked at most riding locations. These volunteers graciously gave up their mornings to help maintain and take care of the trails that are so important to the Thomas community. The next group was a group high school students in the youth conservation corps through Mobilize Green. 10 students and 3 leaders came out for a day that gave them the opportunity to work in the mud and learn all that it takes to build trails. They had the pleasure of seeing the sloppier side of trail building! These volunteers were able to do some finish work, which includes getting rid of all of the unnecessary roots and re-naturalizing the edges of the trail. Though the volunteers had to unfortunately call it quits earlier than we had hoped due to the rain the work they were able to accomplish in only a few hours, have saved us heaps of time. These trails are utilized by locals and tourists alike and it is incredible to see them getting involved in the building process. It is only with a community effort that we can take on a project of this caliber. Whether these individuals are volunteering and helping with the trail, donating to the project, or just getting the word out about this project- they are helping in more ways than they may realize. We are so grateful to the volunteer groups who came out to help us with some much needed work on these trails. We are even more grateful for the individuals who have supported this project since it began almost two years ago. We would not have been able to get this far without all of your help and support! Be on the lookout in the coming months for updates on the finalized project! Every year around the Fourth of July Thomas host Mountaineer Days. Everyone who lives in this area knows that it is one of busiest times of year and brings loads of people not just from Tucker County to enjoy all of the festivities this weekend has to offer. All day Saturday people lined the streets to watch the massive parade which seemingly every firetruck in the area blare their sirens through the town. Venders set up along the riverfront selling a wide variety of crafts and some delicious food. There was live music all day brought to you by local musicians playing in the bank parking lot or the Purple Fiddle. The highlight of the festival were the fireworks put on by the Thomas Volunteer Fire Department. They treated us to almost an hour and a half of non stop fireworks that filled our little mountain town with bright colors. This weekend is always a joyous one that people look forward to every year. It is one of many reminders of how blessed we are to live in Thomas. We are able to enjoy this tight knit community all year round who are not only proud of where we live, but also are eager to watch it thrive! As we get back to normalcy after a jammed packed weekend we hope everyone has a fun and safe Fourth of July. Many of the individuals featured as the “Person of Thomas” are active members of the community as we speak. This month, however, is slightly different. This month our person of Thomas, is someone who had been an active part of this community for 96 years. Vince DiBacco has called Thomas his home for his entire life, and he has an incredible story to tell. He has seen Thomas through many trying times. From the Great Depression, World War 2, and the closing of the mines. He has always believed Thomas is the best place to live and would pull through any adversity. Visiting Vince at his home in Cortland Acres it felt as though we had been friends for years. As soon as I sat down he told me his entire story, after asking just one question. I was inspired by his honesty and bravery to talk about such a difficult time. The visit was incredibly memorable and even included a small tour of his home and a trip to the gift shop where he treated me to some candy! He is the type of person who if you take the time, will genuinely change your life. Dibacco was born in 1921 and is the youngest of nine children. Thomas has been the backdrop for a majority of his life not counting the time he spent in seminary school or away in the war. He had always dreamed of becoming a priest and once he graduated from high school he went to seminary school near Baltimore. However, when WW2 broke out, he decided to volunteer for the army. He wanted to do his duty to fight for our nation. Once he completed his amphibious trainings at bases in Kentucky, Florida, and West Virginia he headed overseas. 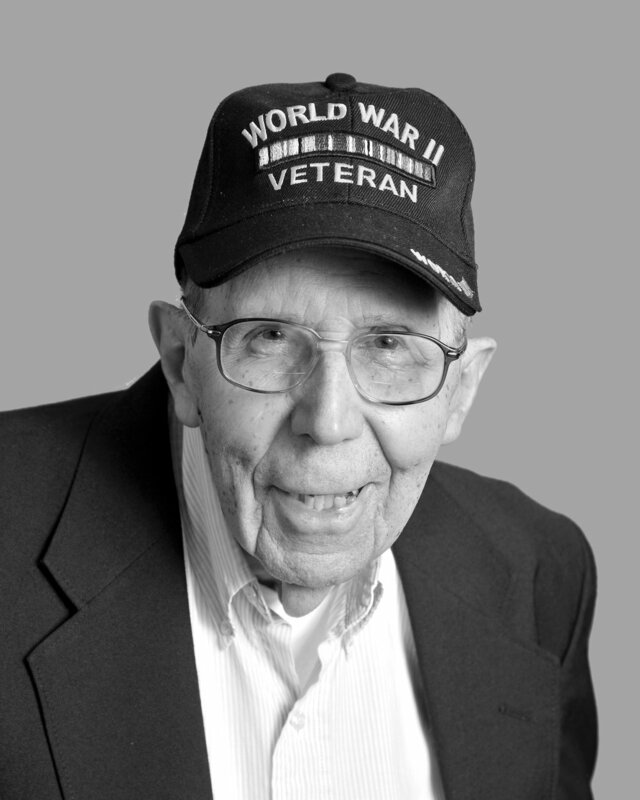 His time in the military took him to the UK and eventually to the beaches of Normandy where he served with the Army’s 61st Medical Battalion. Like many people, as you can imagine, that battle changed DiBacco’s life. Post invasion he was stationed in a chateau outside of Paris where he trained French locals to be medics. He developed friendships with many individuals over there that remained friends throughout his life. Upon returning to the states post war, he moved back to Thomas where he had hoped to go back to seminary school. Life, however, had alternate plans for him. He remained in Thomas and worked for his family at a variety of businesses around the area. As he grew older he remained in his hometown here in Tucker County. DiBacco has continued to be a passionate and active member of the community. He is a long time member of the Catholic Church and has been honored by the Knights of Columbus in a variety of ways. He was also awarded with a Bronze Star Medal for his service in the war. Vince is they type of character that immediately upon meeting him you feel like you’ve been friends for years. His openness about his history will have you bursting with pride to be able to call him a neighbor. Looking back on his time in Thomas, he has always been rooting for this small town to prosper Having lived here his entire life he not only wanted it to succeed because he loved his hometown, but he also wanted to preserve the memories of his friends and family who called Thomas home for their entire lives. He believes we have a unique town with loads to offer. From the artists who have come in and begun to revitalize the community to the boulder park that was built near Davis, Tucker County as a whole has been able to maintain a beating heart even at times when it seemed impossible. It is thanks to people like DiBacco who continued to believe in our town. Without their support our Thomas would not be where it is today. We cannot thank Vince DiBacco enough for his service not only for our nation, but also his dedication to Thomas. He has been an amazing asset and neighbor since before many of the community even called Thomas home. We are lucky to call him a peer. Memorial Day Weekend has once again come and gone. The indicator that summer is officially underway and with that the ArtSpring Festival is over. It was a weekend full of amazing community togetherness, fantastic music, great art, and a celebration of Tucker County that will not soon be forgotten. Kicking off with the silent auction party Friday night, the community piled into the Opera House and were able to see all of the incredible pieces donated from throughout the community. They eventually headed upstairs to the original theater to enjoy the sweet tunes brought to us by Triptych, Stephanie Nilles, and Thomas Deakin. They were able to provide a rousing start to the weekend by taking us back in time with their sound. It was the perfect way to begin this beloved festival. Saturday started off at the Davis Firehall and was packed full of uniquely talented vendors who were sharing their stuff with the public. There were a variety of hands on art projects that kids and adults alike could enjoy- from lantern making to found art painting- there was a little something for everyone. Musicians from around the area provided the perfect soundtrack for the day. From tourists to locals, the people who visited were treated to all of the best parts of Tucker County in one go. There were unique happenings going on all over the county- from nature hikes to historical tours around the community- people were able to experience things more than just the art. Saturdayended like every ArtSpring Saturday with one of Thomas’s most beloved Art Walks. Everyone dressed to impress and walked along Front Street taking in all of the new exhibits that debuted that day. Each gallery featured talented artists that truly added something special to Thomas. Later that evening the town favorite- Driftwood performed at the Purple Fiddle for a packed house. People who weren’t even in the Fiddle could be found dancing in the streets to the amazing music. It was an evening that truly solidified the foundation of this community. The last day of ArtSpring was just as good as Saturday. The handmade art was again in full force. Local musicians were performing to anyone who would listen. Hikes and more opportunities for hands-on activities were happening all over Tucker County. As ArtSpring came to a close the community wrapped up the festival activities with the lantern parade. Kids, adults, locals, and tourists all alike met up at the Opera House with the lanterns they made during the weekend and paraded down Front Street behind a giant duck with the sound of kazoos and drums serenading them along the way. Business owners stood outside of their shops cheering everyone on and saying the official goodbye to yet another ArtSpring Festival. Memorial Day Weekend is truly a magical one here in Thomas. It is a time where the entire community and people from the outside come to celebrate our town and the surrounding areas. It is the few days that we are truly able to highlight all of the talent and camaraderie found in our small town. Though the festival just ended, we cannot wait until next year! A massive thank you to the ArtSpring board for yet again planning such an incredible event year after year. On May 19th New Historic Thomas along with Mountain Laurel Learning Cooperative joined forces to clean up downtown Thomas. A group of around 30 individuals gathered together for the third annual clean up and got our downtown looking A+ not only for ArtSpring, but also the rest of the summer. The Mountain Laurel students were rock stars tackling the railroad grade. They each collected at least one bag of trash making our town as clean as possible. The other two groups took on Spruce Street, Ash Alley, and the city hall garden. The week leading up to the clean up Thomas had been experiencing a week of constant rain, and the morning of the clean up was no different. Though we were a bit concerned we would have to delay the event, the community members involved maintained a positive attitude and we were greeted with blue skies, sunshine, and warm weather. The day couldn’t have been more perfect. After three years of hosting this event, we are shocked and excited with how clean Thomas has become in recent years. Many individuals who have attended the clean up over the years mentioned how much better our town has been looking over the years. These service days in a way have created a snowball effect on the community. It has encouraged individuals to continue to pick up the downtown even if there were not specific clean up dates. We are incredibly grateful to the individuals who continue each year to attend this event and to keep our small city as clean as possible. We cannot thank Mountain Laurel enough for helping each year to make this such a great day.